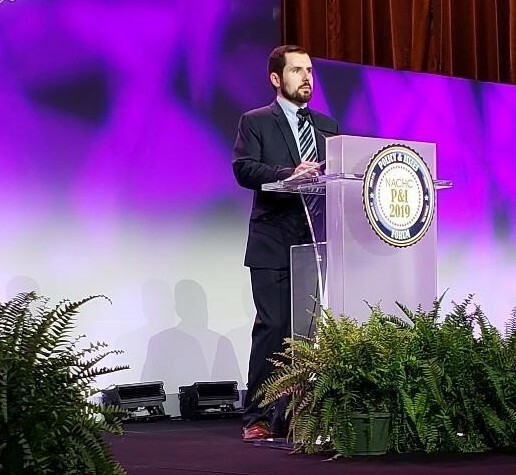 PROVIDENCE – The National Association of Community Health Centers recognized Christopher Durigan, director of clinical pharmacy at Thundermist Health Center, as an emerging leader on March 30 in Washington, D.C. Under Durigan’s leadership since joining Thundermist two years ago, the health center has improved patient care and worked to respond to the state’s part in the national opioid overdose epidemic, said Amanda Barney, associate vice president, communications and development, at Thundermist. Durigan has emerged as a policy leader and advocate for health center patients, she said. The Rhode Island Health Center Association recognized him last year as a Rhode Island Health Center Hero.